With all of yesterday's news about the nation's record-breaking home sales of 2012, people should finally come to terms with the fact that the real estate industry has indeed rebounded - and with a vengeance, so to speak. In fact, the National Association of Realtors said that sales of homes throughout the US were up 10% from 2011, and have been in its highest since 2007, just before the market crashed. More startling however, agent, buyer, and seller portal Multiple Listing Service (MLS) have noted that property purchases were not only limited to home sales for residential use, but commercial as well as investment properties have also jumped a significant 15% from years prior and have also set record since 2005. But is it really an over-all improved US economy that's fueling this sales surge? Or is it merely a shortage of inventory? Well, a little bit of both. Developers in the past couple of years have either strategically postponed or halted their projects, augmenting expenditure and balancing their financial stability. So goes the same for buyers who have limited cash available and were less fluid, keeping it safe and storing their hard-earned dollars in the depository. But fast forward to 2012, where all seems to be well (at least better than previous years! ), and most are again in search for homes, or investment properties. Well, that's where it gets complicated. Individuals who have had an advantage of having cash lying around in between the financial crisis years have snapped up some pretty decent deals - ones that looked bleak before the real estate upsurge. Boston, in the past couple of years, has been blessed to have been fairing a bit better than its other competitor cities, having home and property sales only go down (at the peak of the crisis) to -3% in 2008. Ever since that year, the city has been above the negative threshold, not exactly busting, but better than the rest. And now, the city is at it again with over 22 groundbreakings last year of projects soon to rise, and a $2 Billion Build that was inked and started this early in the year. 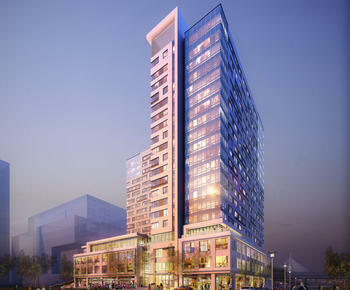 The 20-story NorthPoint Tower will soon rise in Cambridge, and is set to break conventions by featuring 335 luxury units, a ground floor retail complex, and an elevated park and staircase in the area. 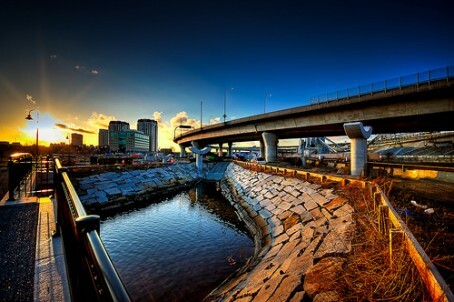 The elegantly-designed condominium tower sits beside the Gilmore and O'Brien bridge, the latter one connecting to the Orange line's transit terminal. The HYM Investment-backed project is set to be completed late 2014, and is a stark revelation of how Boston is hurriedly playing catch up to ride the wave of the real estate industry's comeback, making sure that the inventory of available units - whether for investment or for residential use, be back at its best to service all the city's needs for additional living space. 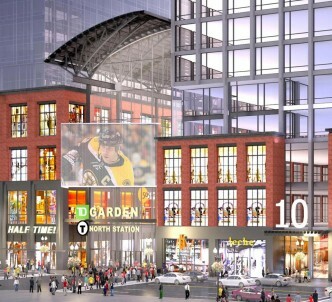 Seems plans have been changed for the famed North Station landmark. 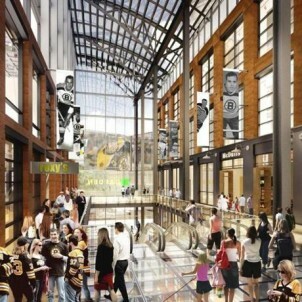 New renderings reveal the commercial complex's foray into the "street shopping" concept, ditching fast food eateries and conveniences for a more streamlined shopping experience. The plan, it now seems, includes two towers and will likely produce 1.7 million square feet of residential and commercial space.